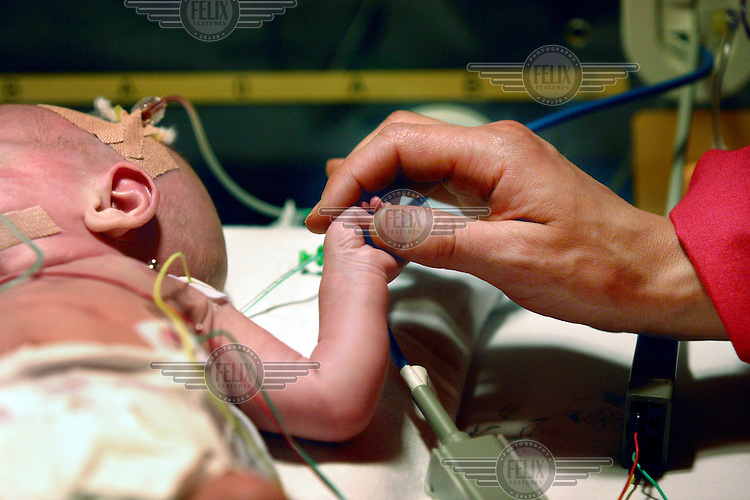 A doctor from the Norwegian Air Ambulance service says goodbye to a baby whose life she has just saved. Born prematurely, the baby is now being treated at a regional hospital. In contrast to most European countries, the Norwegian birth rate is a healthy 1.9. Norway's reputation as a child friendly society is partially founded on a succession of government initiatives to improve parents' rights and economic circumstances.